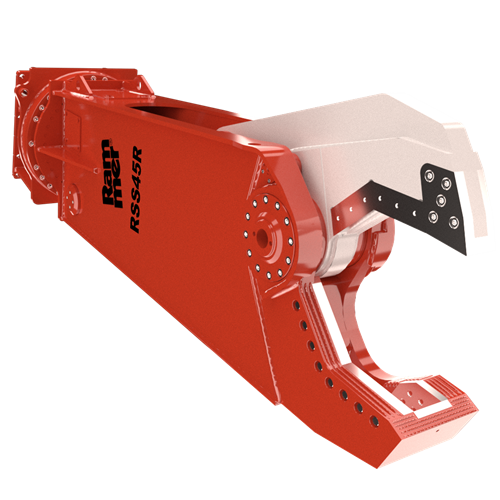 Regardless of the application, by choosing the right attachment for the task at hand is not only safer, it reduces downtime, lowers operating and lifetime ownership costs of your machinery and, most importantly, help you reduce cost per tonne of material moved. With a combined experience of more than 70 years in excavator attachments we have selected the industry leading products so that you can choose from a variety of quality and reliable equipment allowing you to work safer and more efficiently. We specialise in servicing the requirements of the construction, quarrying, mining, demolition, civil works, earthmoving and landscaping industries and offer trusted advice and support to all customers whether you are purchasing, hiring or requiring commissioning, maintenance or repair for your hydraulic equipment. Walkers Hammers are authorised dealer of the following product brands. 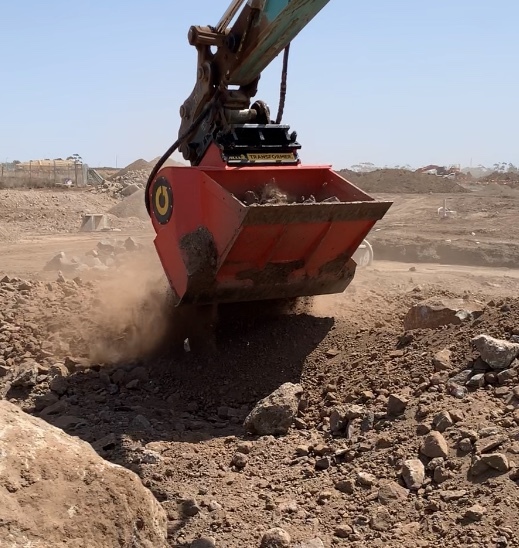 Depending on the task at hand, hiring attachments can be an economical and low cost way to excavate, demolish, quarry or mine. Most of our product range can be hired, so if you want to try before you buy or need an equipment for a short-term project, our flexible and hassle-free hire option is your choice. Maintaining a regular servicing schedule for your attachment is the best way to ensure it performs at its optimal efficiency, and to prolong the life of your investment. It also helps you avoid unnecessary downtime. 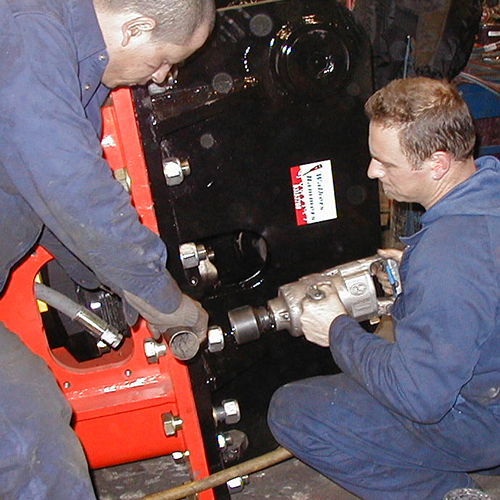 Our experienced technicians will maintain your hydraulic attachments in peak condition by offering full workshop rebuilds, service and repair regardless of the make or model of your attachment. We also have two fully equipped onsite service vehicles whenever and emergency repair onsite is required. Same day chisel sharpen service and supply of genuine spare-parts, tools and consumables are available to keep your machinery working. Our technicians and are happy to provide you with professional technical advice when needed and help you select the correct tools and parts for your attachment and application. Check out our latest news below and contact us for more information! 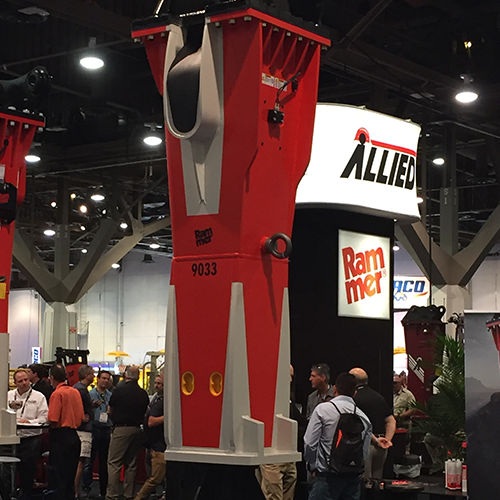 RAMMER delivers innovative solutions to improve profitability, safety and performance. The company has launched its purpose-developed RD3 remote monitoring device for its ‘Excellence Line’ of rock breakers. RD3 is the first ever remote monitoring system for hydraulic rock breakers. It provides real-time data on operating hours, correct usage, service intervals and exact location of the equipment. 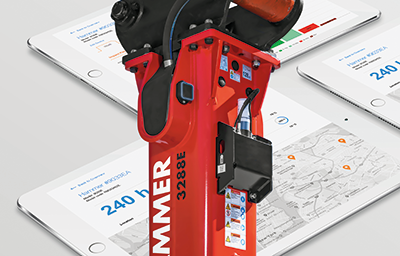 Rammer introduces the renewed Excellence Line of rockbreakers with integrated smart technology for easier fleet management and new customer-focused features for more efficient processes. SIMEX twin header rotary cutters offer significant increase in yield and reduction in waste for mining and quarrying operators. 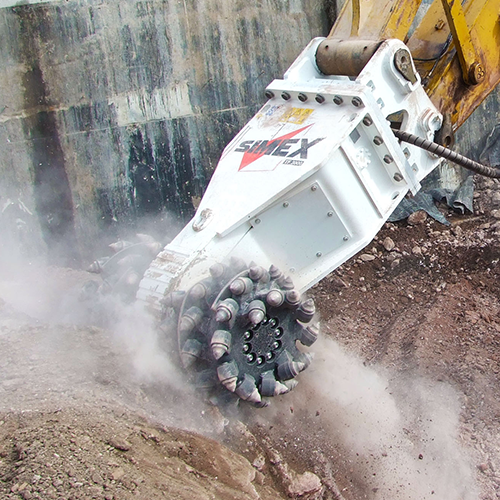 Where the traditional ‘drilling and blasting’ method used to quarry on fractured rock can be a time- consuming two-stage process, SIMEX twin header rotary cutters give excellent results when conventional digging systems are too weak and percussion tools have little effect. 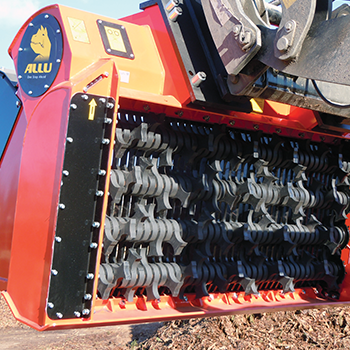 RDW Excavator Parts appoints Walkers Hammers as its ALLU Transformer dealer in Victoria. 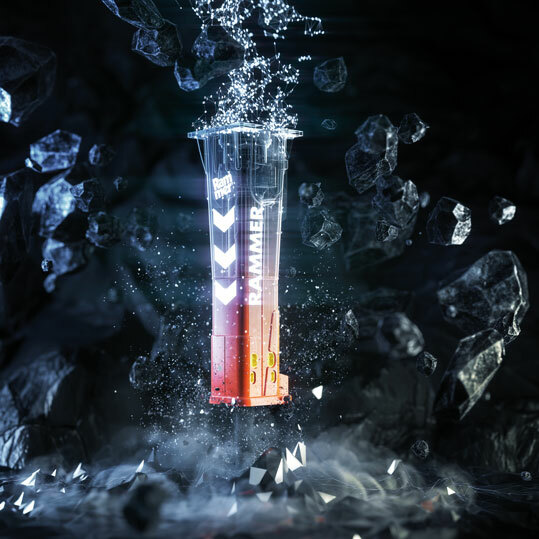 Hillhead quarry expo in UK saw the international launch for a new line of attachments and demolition tools from the world-leading hydraulic rockbreaker brand, Rammer. The attachments include Cutter-Crushers, Scrap Shears, Rotating and Static Pulverizers and Grapples. 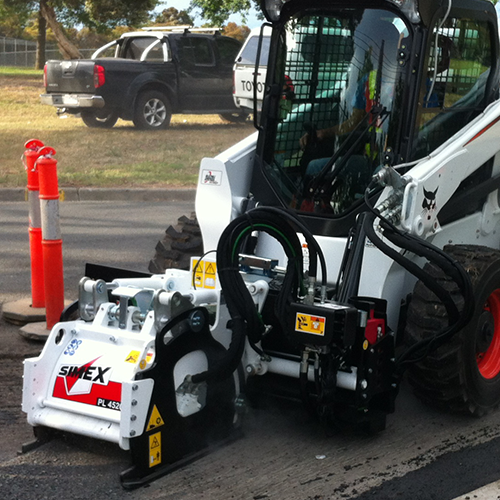 In 2010, Leon Smith, owner of Specialised Bob Cat Services purchased a SIMEX PL4520 Planer to be fitted to his new Bob Cat A300 Skid steer but instead of having a standard controller box for the planer Mr Smith requested the SIMEX Planer to be controlled and operated with the original skid steer joysticks. “I know this requires reconfiguring the wiring but I want all the controls on the joystick’s” he said. This is a perfect time of the year to service your rock breaker and other hydraulic attachments to maintain them in peak condition for the upcoming jobs.